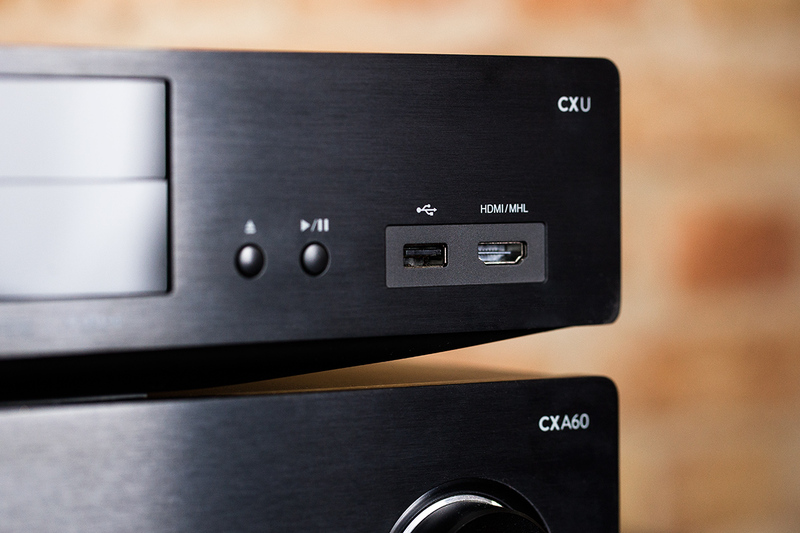 The CXU is somewhat of an audiovisual chameleon which offers playback of various number of different passing options, also supports a wide range of different formats and, thanks to clever features and the spacious facilities with a variety of inputs and outputs is much more diverse than a conventional 08/15 Blu-ray player. So, for example, take the drive – the way a high-quality copy that evenly glides when opening and closing, to then resume operation with a barely audible whisper – not only to the usual variations of the Blu-ray Disc and the now somewhat over the years has come with DVDs, but reads willingly even unusual slices of DSD coded SACD on the HDCD up to DVD-A. In addition, it can be used via USB (3x including charging function), HDMI (1x with MHL, 1x without MHL) and even over the network – wired or via a wireless connection – to feed video and audio data in the system of CXU; the latter are also offered a digital S/PDIF and an optical TOSLINK input. In terms of format compatibility, the Cambridge player turns out as with the support of various pieces of silver as a pleasant uncomplicated contemporary. The CXU are in the video area almost anything again as long as it is Full HD material, audio data are accepted in various encodings to a resolution of 192 kHz / 24-bit stereo and surround and processed via internal upsampling including jitter correction. Now is certainly allowed the question of why you should definitely choose the detour via the CXU in the playback of digital music and video data. Indeed, there are several good reasons for this: For example, benefit video signals to HDMI 1 output to pass from various image-enhancing measures – inter alia, gives the well-known “Darbee Visual Presence” algorithm the pictures by effective sharpening extra depth. In terms of audio playback the effective upsampling was already mentioned, also the CXU WM8740 converter may well be drawn as audiophile digital-to-analog converter into consideration due to the high quality Wolfson. After the beeps have been carefully converted to the analog domain, they are, depending on whether it is a surround or stereo mix, either eight RCA outputs (maximum of 7.1 channels) or to a dedicated stereo output available and can be passed on from there to analog way as to an AV receiver, powered speakers or a power amplifier. For every two channels, incidentally, a separate converter chip is always in charge, making a total of five Wolfson WM8740 provide in CXU for first-rate converted signals. 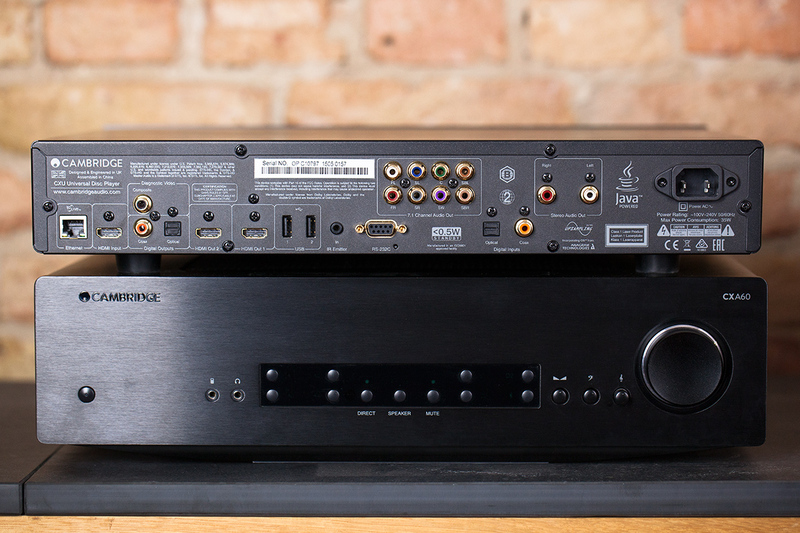 Should also be mentioned the second HDMI output, which must, however, do without further video processing, as well as two digital audio outputs in S / PDIF or TOSLINK format Finally, for the sake of completeness that complement the already impressive feature set. A couple of things dominated the CXU actually not, or rather not quite as perfect as you would want it or knows of corresponding specialized equipment. The networking capabilities are unfortunately somewhat limited, there is no native app as a link between the network and players, and to the direct implementation of various online services from both the audio (Spotify etc.) as well as from the video area (Netlix, Amazon Video, … ) has been omitted. However, it is quite possible, for example, via the UPnP or DLNA protocol to stream the local media library with the help of third-party applications from your computer or mobile device on the CXU. Furthermore, it is unable to process the Cambridge player the DSD format, unless it is read directly from an SACD disc. Given the otherwise extensive features hardly detract from these criticisms the overall impression, however. Cause for celebration also features the processing of Cambridge CXN. Not only the drive, but also the solid metal casing, the razor sharp probe and the tight connections radiate a high perceived value. Even the remote control deserves a positive mention. The rubberized back flatters the hand, the buttons have a good tactile feedback and the reaction time is pleasantly short. The display is easy to read and provides the user with the most relevant information, but fails altogether rather rudimentary. The display of each currently playing sample rate, for example, would have been a nice addition, on the other hand, the absence of such extras in practice quite get over. Practice is a good word – of course we want to say a few words about the performance of the CXU. It quickly becomes clear that Cambridge quasi allowed no weaknesses in this area. Blu-ray images are displayed crisp and the respective image design, whether it is rather flashy popcorn cinema or atmospheric and artful productions comes to their best advantage. The somewhat dusty DVD also benefits from the qualities of CXU, despite the outdated technology and the lower resolution appear calm, detailed and vivid images. In particular, in view of this intermediate good it is advisable to apply the “Darbee Visual Presence” well measured because a too strong engagement can also make worse the picture under certain circumstances. 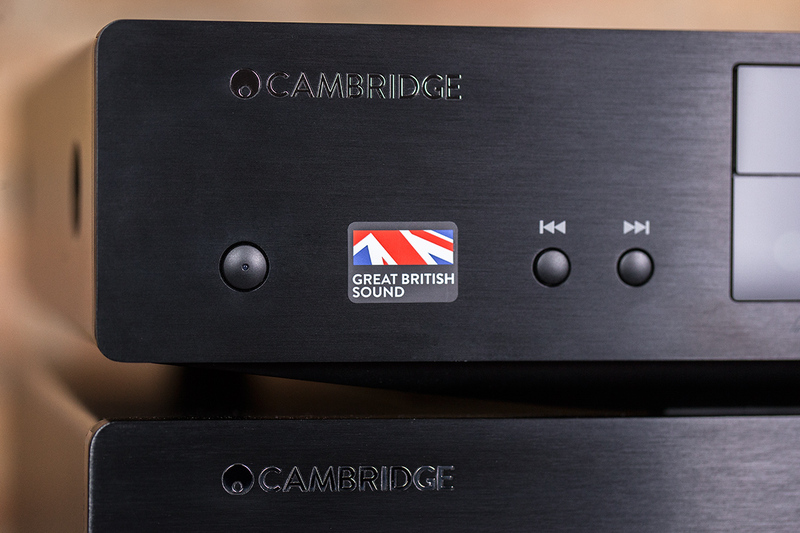 The positive impression continues on the acoustic level, no doubt benefited the CXU of the long experience of the Cambridge Audio team for HiFi applications. 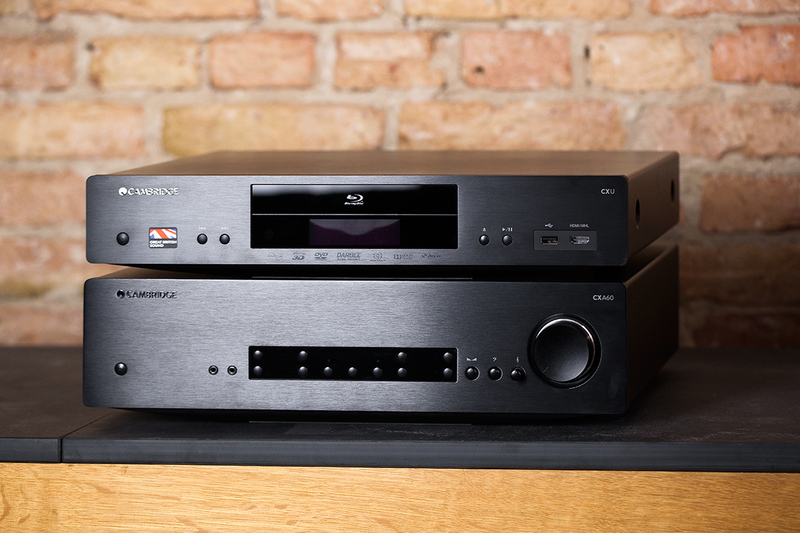 Both the multi-channel outputs as well as to the stereo output can be tapped excellently converted signals which, when combined with a matching amplifier for powerful, precise and transparent sound subscribed. Digital signals via HDMI, S / PDIF or TOSLINK also be forwarded properly, in which case such a change of course until a subsequent components of the transmission chain instead. 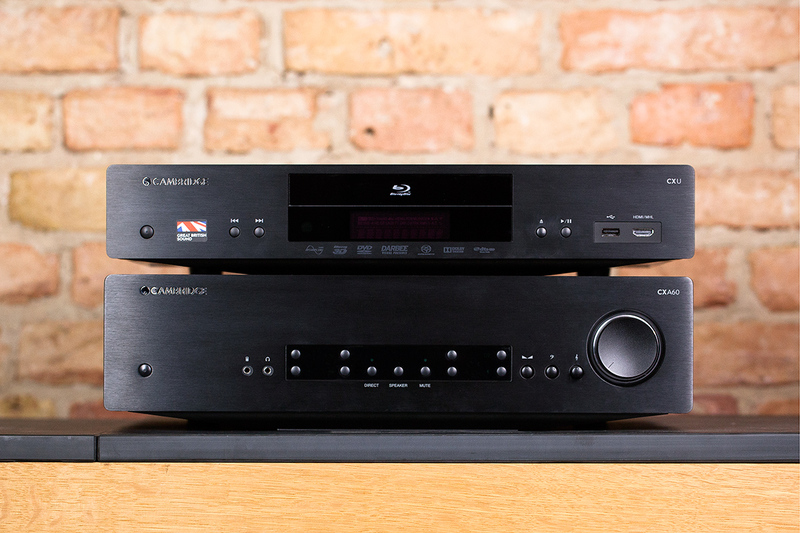 The Cambridge CXN recommended with an enthusiastic exclamation mark both as a flexible media centre and home theatre systems as well as audiophile multi–format player. If you can live with the fact that Full HD content define upwards the limit of what is possible and the above, in our view, but rather marginal criticisms are aware you can actually hardly anything go wrong with the Cambridge CXU. Surely the player is compared to so many competitors not cheap, considering the offered equivalent of the price, however, is absolutely justified.